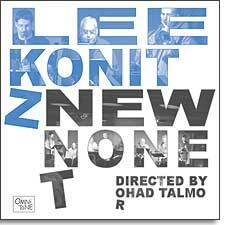 New Nonet presents the latest incarnation of Konitz's fabled (and not-oft-recorded) Nonet, under the direction of composer/reedman Ohad Talmor, and recorded live at New York's Jazz Standard during the New Nonet's acclaimed five-night stand in August 2005. New Nonet follows the lead of Konitz's acclaimed nine-piece configurations of the '70s and '80s by enlisting top-flight players from New York's creative improvised music scene. However, unlike previous recordings, the CD features new, never-before-recorded compositions by Konitz that highlight his under-recognized status as a composer as well as original music and arrangements by Talmor, who is establishing himself internationally as a strong, emerging new voice in composing and arranging. Appropriately enough, New Nonet kicks off with the 25-minute ChromaticLee Suite, culled from eight different blues lines penned by Konitz. The varied and multi-dimensional suite, masterfully woven together by Talmor, is representative of much of the album. It is full of "classic" Konitz -- linear, unforced, full of fresh melodies and colors, and often anchored in the relaxed, free-swinging groove that has made Konitz a living legend. Recorded live on 10-14 August 2005 at The Jazz Standard, New York. Buy New Nonet now at the OmniTone store.